Max Byrd, the renowned author of Jackson and Jefferson, brings history to life in this stunning novel set in America’s Gilded Age. Grant is an unforgettable portrait of a colorful era—and the flawed, iron-willed, mysterious giant at its center. Ulysses S. Grant pursued a tragic war to its very end. But his final battle starts in 1880, when he loses his race to become the first U.S. President to serve three terms, goes bankrupt, and begins a fight against cancer that will prove to be his greatest challenge. Through journalist Nicholas Trist, readers follow Grant’s journey—and along the way meet Grant’s sworn enemy Henry Adams and Adams’s doomed wife, Clover, the old soldiers Sherman and Sheridan, and the always clever, always scheming Mark Twain. Revealed here are not only the penetrating secrets of our eighteenth president, but the intimate power-brokering that led to the end of Grant’s career, setting the stage for a new era in American history—one defined by politics, not warfare. 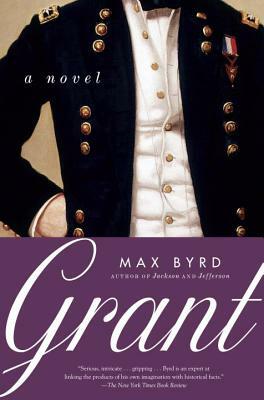 Max Byrd is the acclaimed author of Jefferson, Jackson, Grant, Shooting the Sun, and many other novels. An authority on eighteenth- and nineteenth-century American history, Byrd lives in Davis, California.